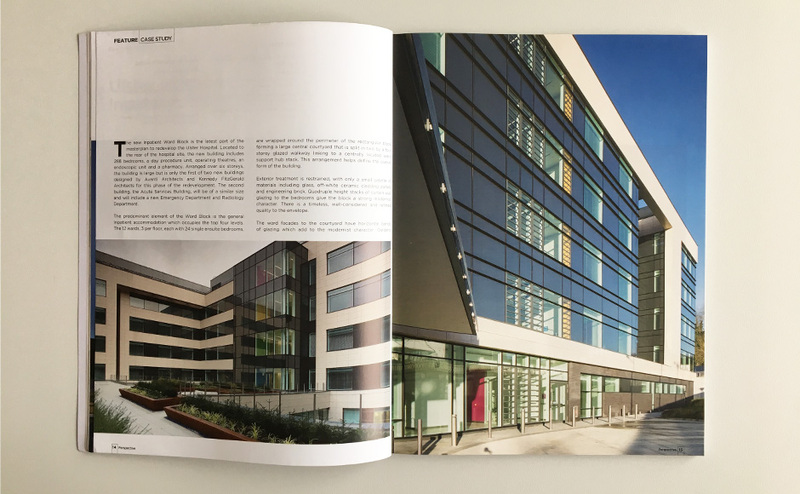 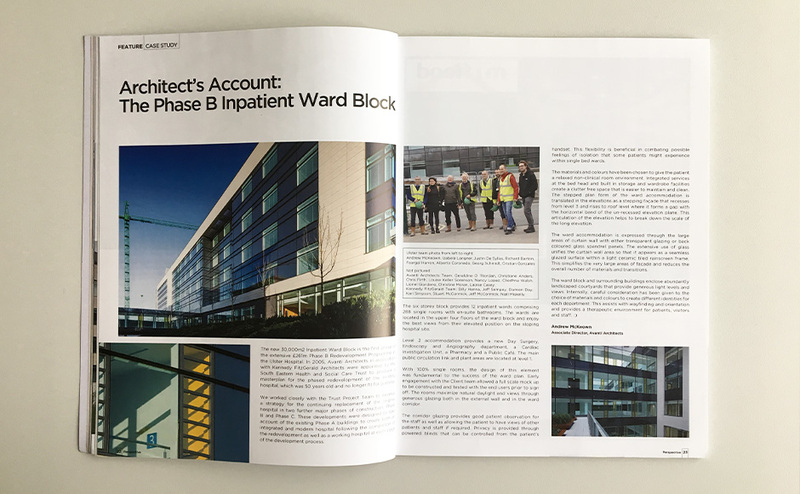 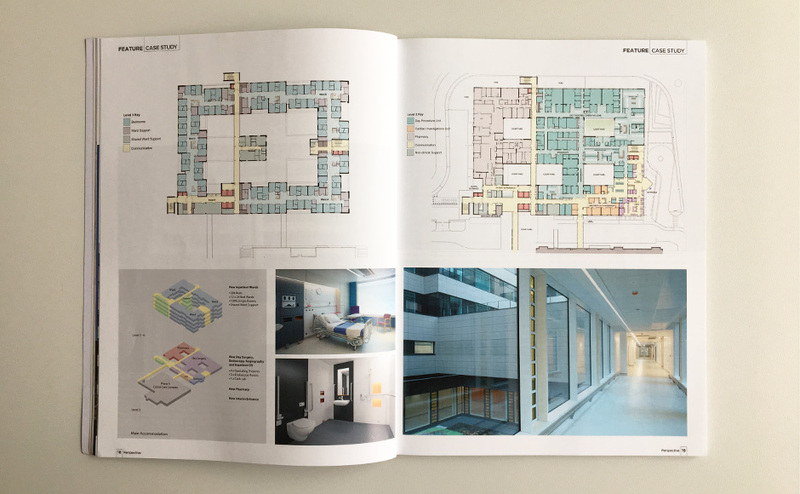 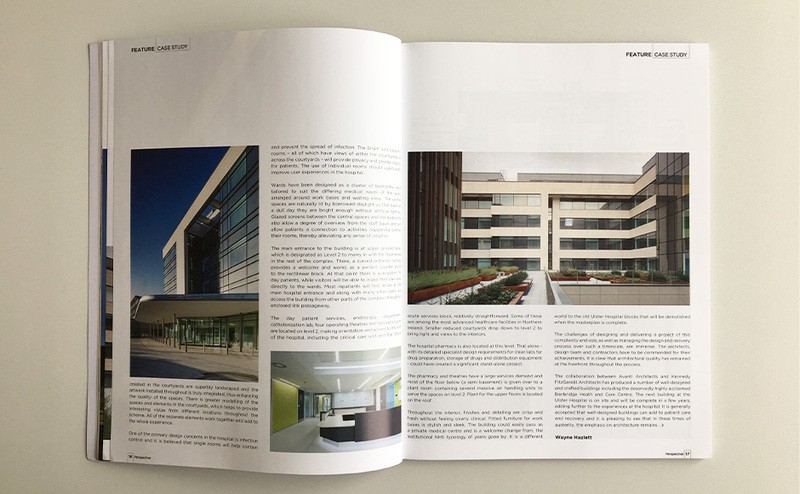 The newly completed Inpatient Ward Block at Ulster hospital features as the first case study in the March/April issue of Perspective magazine, the official publication of the Royal Society of Ulster Architects. 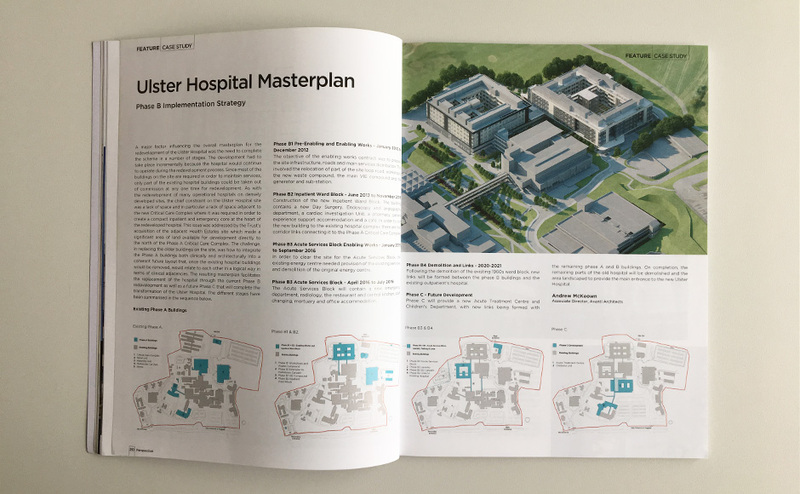 Associate Director Andrew McKeown provides the Architect’s account of the project and explains the wider hospital masterplan, which is being delivered in stages to allow the hospital to remain in use. 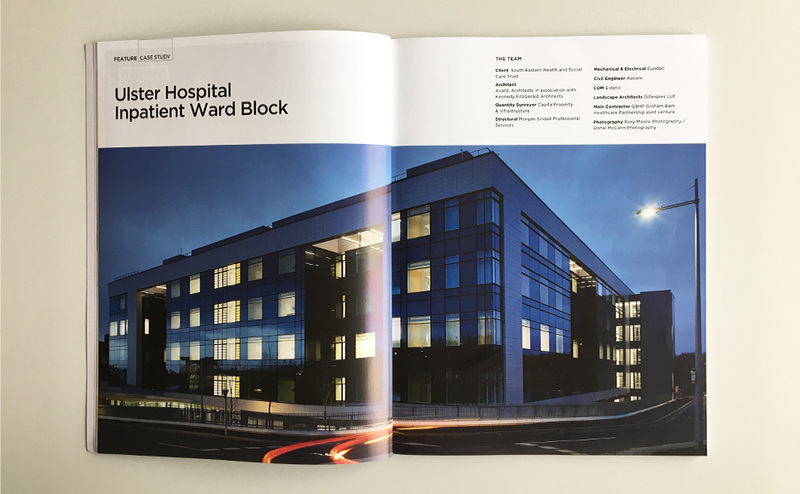 A new acute services block of similar size is already underway and is due for completion in 2019.